Radiofrequency (RF) energy treatment is a new and promising technology for non-surgical body contouring, fat and cellulite reduction. Pure RF energy alone or RF in combination with other modalities which combines RF with infrared,causing tissue mobilisation and suction can be used in treatments to effectively contour the body and reduce the appearance of cellulite and fat. With deep, controlled heating of the fatty layers under the skin, the effects of tissue tightening and increased blood circulation mean that fatty deposits are drained through the lymphatic system, reducing the appearance of cellulite. Based on current RF technologies, most people should see at least a mild improvement in their skin tone, with a temporary reduction in the appearance of cellulite and possible inch loss, with minimal risks and downtime. Prices for radiofrequency depend on the area(s) treated and the device used. The domestic electricity which itself is an alternating current could in theory be used for “electrosurgery”, however as most people know, contact with this kind of electric current can cause very undesirable effects such as electrocution and uncontrolled neuromuscular (nerve and muscle) stimulation. However, if the frequency of the alternating current is raised above the response time of neuromuscular structures, we find the radiofrequency range which can safely be used for medical/surgical applications. -What can radiofrequency (RF) energy treat? -What should you do before treatment? -What happens during a Radiofrequency For Cellulite & Fat treatment? -How long will it take to recover from Radiofrequency For Cellulite & Fat? -What are the risks and potential complications from Radiofrequency For Cellulite & Fat treatment? Some people may notice a slight increase in urine output following treatment. This is because any excessive fluid build up in between cells in the area treated is drained through the lymphatic system via the treatment process – this then gets excreted in the urine. -What should you do after a Radiofrequency For Cellulite & Fat treatment? Light application of soothing/moisturising lotions, creams or gels to the treatment area, such as aloe-vera; cool, moisturising mists applied as you feel necessary; cool water rinses or ice packs applied to the treatment area. -Who can perform Radiofrequency For Cellulite & Fat? Depending on the device used, this procedure is generally available only in the offices of qualified therapists who specialise in cosmetic procedures. 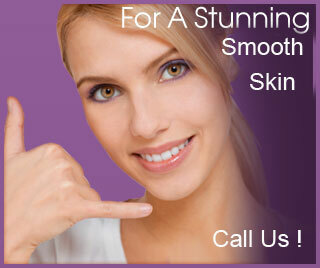 -What is the average cost of Radiofrequency For Cellulite & Fat? Prices for radiofrequency treatments depend on the area(s) being treated and the device being used. Join Empathy's Cellulite Treatment !